The Circus Monkey HDW2-R Plus MTB rear hub is produced by firstly cold forging an alloy body, Which is then skillfully CNC machined to produce a light weight smooth running hub. Having four sealed bearings contributes to the fact of its smoothness. 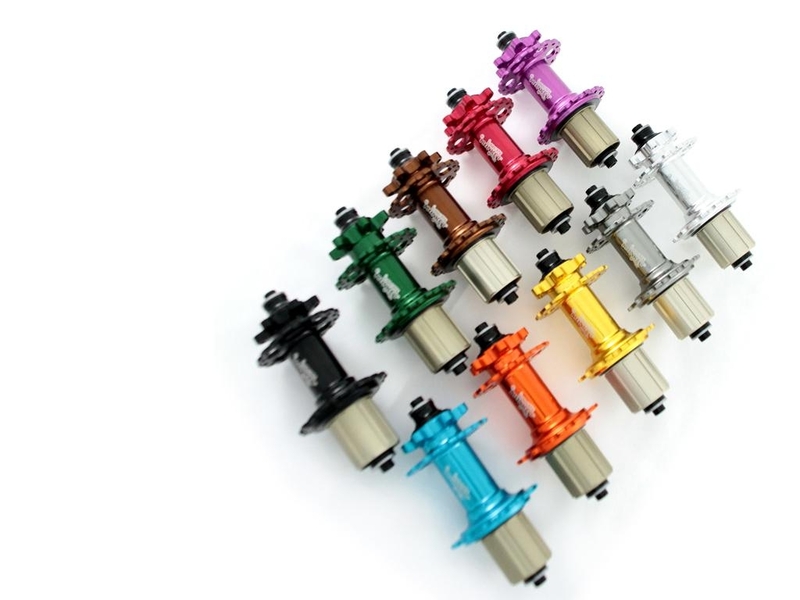 Available in a variety of ten great colours either Gold, Black, Blue, Green, Red, Silver, Titanium, Orange, Purple or White with the option for the rider to choose one of three spoke hole options also. This model is only available with a Shimano or SRAM 8, 9, 10 or 10/11 speed system. Note: This hub comes with an MTB freehub body cassette, not a Road freehub body cassette. Very good product, great quality. Fast shipping, highly recommend. I bought this hub one month ago. And I finally received it today. It's perfect and stiff, also looks pretty well on my bike now. It's also suitable for my frame and wheel.